Asustek Computer on Wednesday announced the 10-inch Eee Pad Transformer Prime tablet, which has a quad-core processor that could make it the fastest tablet in the market. The tablet will have Nvidia's quad-core Tegra 3 processor and Google's Android 3.2 OS, an Asus spokeswoman said. Asus will provide an upgrade to Android 4.0, code-named Ice Cream Sandwich, at a later date. The tablet will be priced between US$500 to $600 depending on configuration, and become available worldwide in December, the spokeswoman said. The tablet weighs 1.29 pounds (585 grams). Most of the leading tablets like Apple's iPad 2 and Samsung's Galaxy Tab come with dual-core processors, and Asus' Transformer Prime will be the first with a quad-core chip. The Transformer Prime should run multimedia and applications faster, with more processing power provided by the four processing cores. The Asus tablet could outperform competitive tablets, said Nathan Brookwood, principal analyst at Insight 64. Web pages are becoming increasingly complex with multimedia and other resource heavy elements, and Transformer Prime can provide extra performance on tap, Brookwood said. Quad-core chips could also help tablets like the Transformer Prime become better gaming platforms. As of now, single- and dual-core devices provide plenty of horsepower to run most applications. But going ahead, quad-core chips could also enable new applications such as light content creation and video editing, which could help tablets be more than just content consumption devices, Brookwood said. The Tegra 3 chip, which runs at a clock speed of 1.3GHz, is five times faster than its predecessor, the dual-core Tegra 2, Nvidia said. The Tegra 2 chip is in tablets from Lenovo, Dell, Motorola and Toshiba. Beyond better performance, the tablet will provide longer battery life as processor cores can be shut down depending on workload, Brookwood said. Asus did not provide a battery life for the Transformer Prime tablet, but Nvidia said the tablet could provide up to 12 hours of battery. The Transformer Prime tablet will come with 32GB and 64GB of storage. The tablet also has 1GB of RAM, a 1.2-megapixel front camera and an 8-megapixel camera with flash on the back. 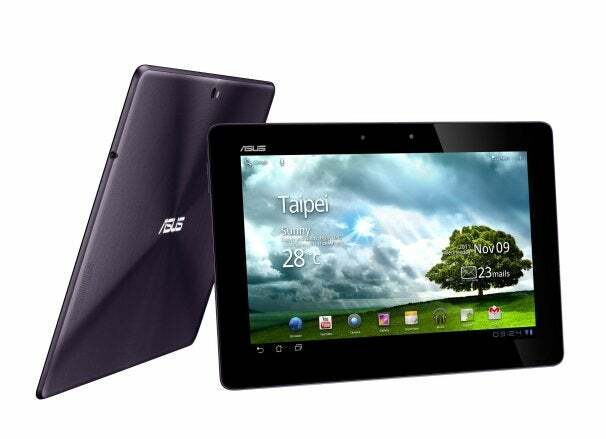 Asus offers a range of tablets under the Eee brand. The Transformer Prime will enter a fast-growing market dominated by Apple's iPad.